Our team is composed of six drivers: Amadeu, Àlvaro, Xavi, Eduard, Felipe y Juan; three additional ones who give us a hand when needed: Josep, Javier y Fermín; four school bus monitors: Maribel, Isabel, Ángela y Rosa; and myself: Anna. At human level, we form a greate family business. The commitment of the team with passengers and clients, their involvement in doing a great job and professionality at all levels are key values to our company. 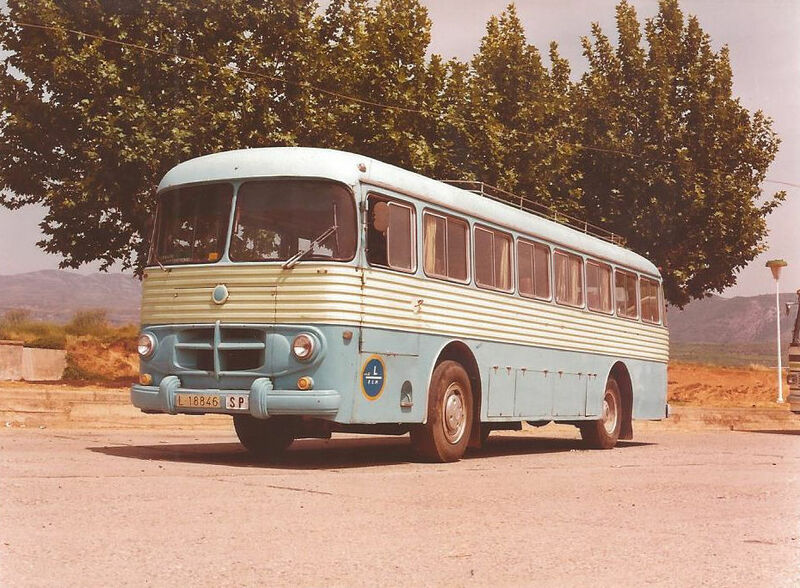 The business was launched in 1960 by my grandfather, Ventura Palmerola Betriu, who bought the first bus, a Monotral with license plate L-18846. My grandfather had always worked on merchandise transportation, from wine by mule-pulled carts during the 1920s and 1930s to coal and groceries from the 1940s until the 1980s in his retail and wholesale businesses. In the late 1950s, the town was booming thanks to the arrival of the military base in Talarn, and so was the need for people transportation. Being a pure-blood enterpreneur, he immediately spotted the opportunity and bought the first bus. In 1963, two other partners joined the business in order to boost growth to cater for the needs of the Pallars, turning it into a limited company. 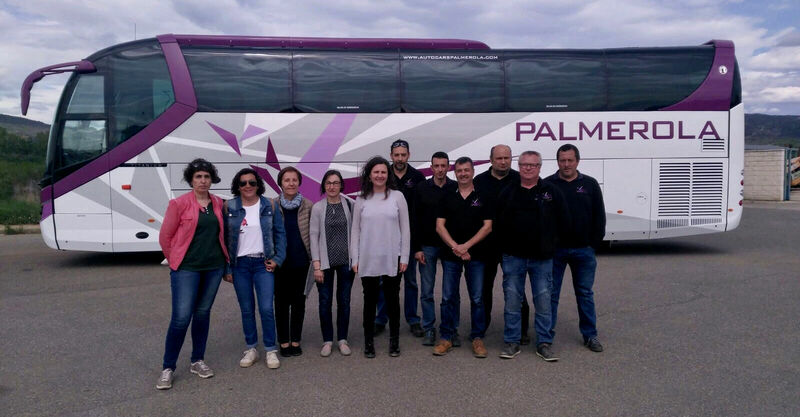 The company commenced its opeerations with the Tremp-Gurp line, the first scholar bus route Cellers – Guàrdia de Noguera – Puigcercós – Tremp and the discretionary trips to Andorra, Lourdes, Barcelona and even Madrid to watch a Madrid – Barça match. In 1975, my father Ventura Palmerola Barado, took over the management of the company. Seven years later, he becames the owner after purchasing the parters’ shares. He decides to explore and exploit the new market opportunities arising. On the one hand, the growth in school bus routes stemming from the closing of village schools in the area. On the other, the growing transportation demand from associations, schools, sports clubs, travel agencies, etc. which were growing at the time. Finally, with the trips all over Spain for the AGBS in Talarn (Sub-officers Academy of the Spanish Army). He did not do it alone, for my mother Pepita-Reyes Amorós Albert also joined the managing of the business. Expansion phases in any business are both passionating and complicated, due to the large fleet enlargement in a short period of time. 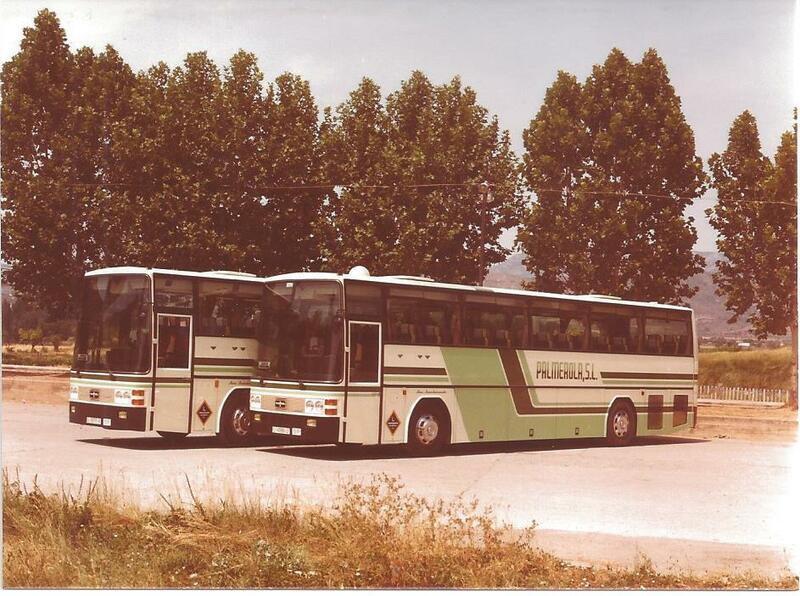 The company jumped from 3 to 8 buses and consolidated as the Pallars’ passenger transport company. Business continuation, as in most family-owned businesses, depends on the interest of the following generation in the company. Us, my brother and I, as most youngsters in Pallars who move to Barcelona to study, only seldom move back to our home town. The lack of a clear generational replacement, together with the context of economic slowdown, conditioned the business evolution during the last years of management of my father, which was a conservative and withdrawal phase. In 2013, after spending 15 years in Barcelona graduating in Economics and Marketing and working as a strategy consultant, I decide to change my life: I quit my job and move back to Tremp to live at a different pace, take over the family business and make my little contribution to the economic dynamization of the Pallars Jussà. 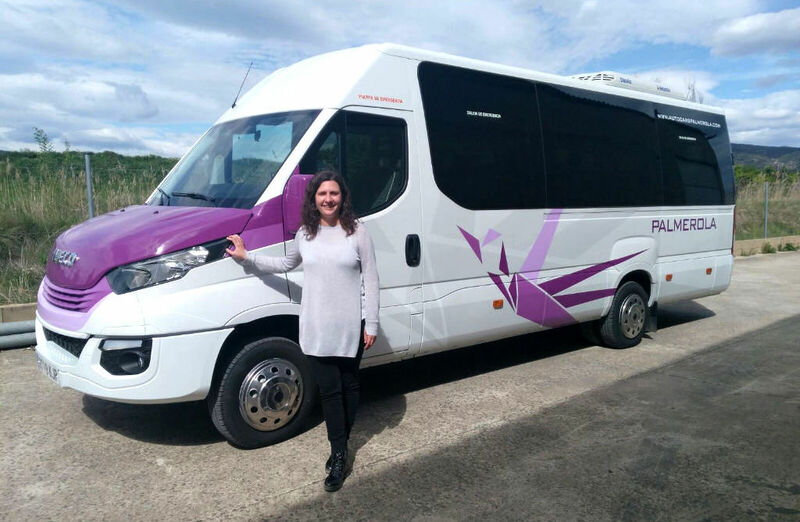 In 2014, I took over the management of Autocars Palmerola S.L., with a lot of enthusiasm and high hopes, and with the objective of confirming ourselves as the passenger transport company of the Pallars, both for our fellow citizens and for our visitors. With this goal in mind, we are in the middle of a renovation and boost phase at all levels. 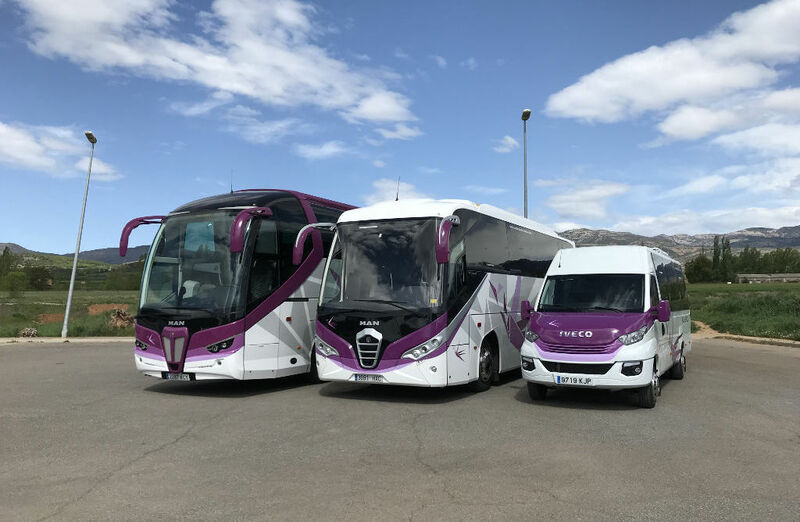 During the last years, we have renovated almost completely our fleet, now counting with buses of different sizes including one adapted for reduced-mobility passengers, and we continue to do so. We work to adapt ourselves as much as possible to the needs of our clients by offering a personalised, professional and quality service. We are strengthening the direct relationship with our clients by means of new technologies and social networks. We look for new opportunities in our market. We get involved in the economic dynamization of the area by taking part in the Geopark project and joining other local initiatives. In order to boost the business, I am not alone. I count on a human team contributing to the good functioning of the company and key to offer a professional, reliable, effective, trustworthy and quality service.